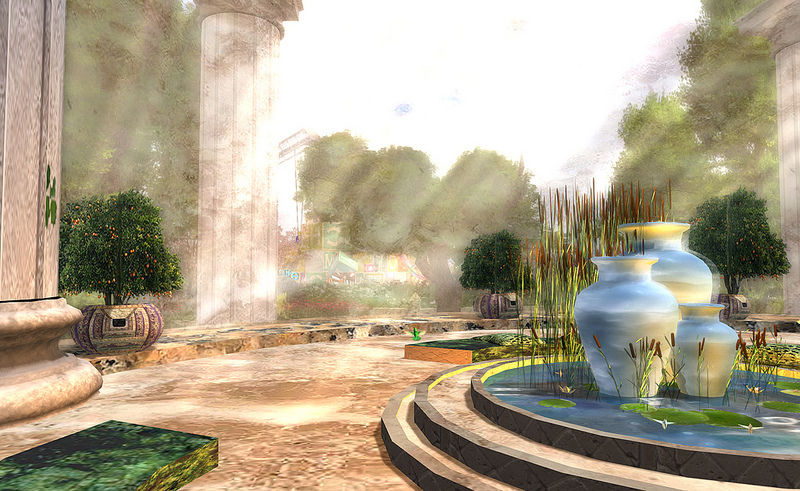 Join us at 2pm SLT today, Monday 26th August for another episode of our new season of Designing Worlds at our studio in Garden of Dreams. 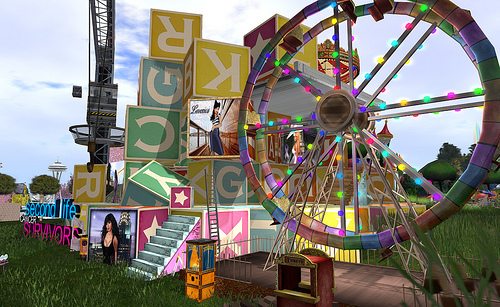 This week we pay a second visit to the Relay for Life Weekend installations – but this time we have the opportunity of looking at the work of an artist celebrated for her artworks in Second Life but who created the most amazing installation for the Relay for Life Weekend. One of the highlights of this year’s event was the wonderful Survivors and Caregivers’ Camp created by the artist Winter Nightfire. This took you on an allegorical journey from the bleakness of diagnosis, on a long and difficult journey, with places of beauty for reflection and hopes for the future (the ruined cancer hospital is inspiring and poignant, a very special place) – till the journey reached its apogee in a burst of colour, excitement and sheer fun with a huge funfair. It was a spectacular, beautiful and powerful build – and we will be exploring it in detail on this week’s show. 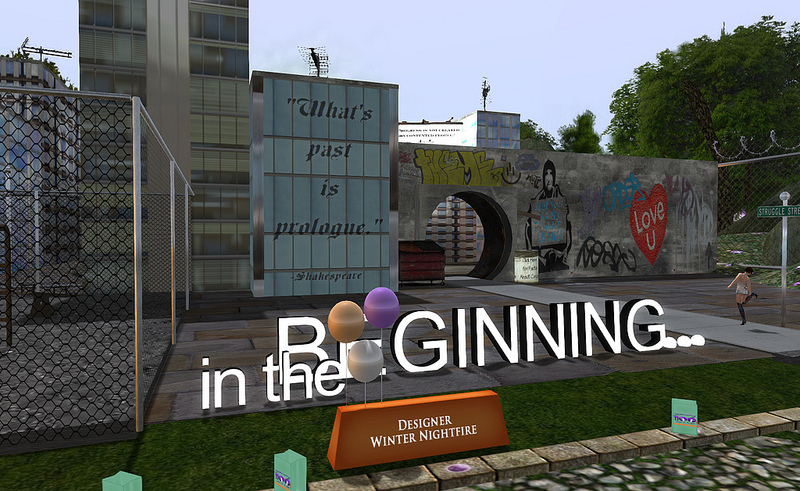 And we will also be talking to Winter about her art and her work for charity within Second Life – and the crossover of the Artathon at the Second Life Community events. It makes for another great show – so do come and watch it at 2pm! Or – if you can’t attend in person – tune in at 2pm SLT on Monday for the live show on http://treet.tv/live – or catch it later in the week on our shows page on the Treet.tv web site at http://treet.tv/shows/designingworlds – our very own version of the iPlayer!